1900 First worship service was held. 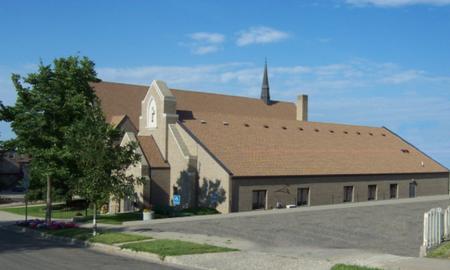 1905 St. Paul's Lutheran Church officially organized on June 11th. Property of our first church building purchased. 1910 Parsonage built next to church. 1913 Renovation of altar and pulpit dedicated. 1918 Sunday School was organized. 1919 St. Paul's Ladies Aid was organized. 1922 First recorded minutes of Walther League. 1923 An extension was added to the original structure. 1927 Pews were purchased and the interior of church redecorated. 1930 25th anniversay of St. Paul's Church. 1941 Rev. 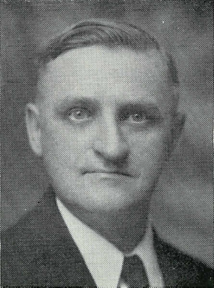 F. E. Brauer accepts call elsewhere. 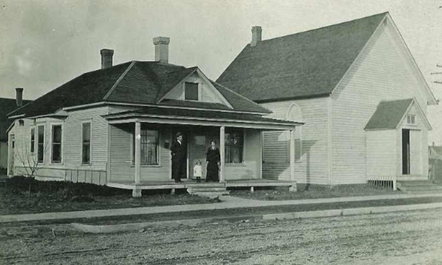 1945 Property for a new church purchased. 1948 Construction of new church started. 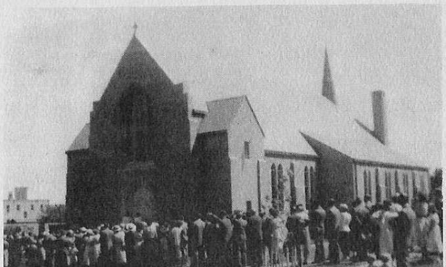 1950 Present church construction was completed and dedication held, July 30th. 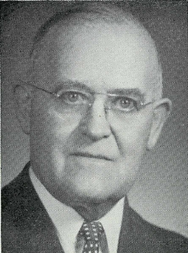 1954 Minot St. Paul's hosted its first Lutheran Laymen's League state convention. 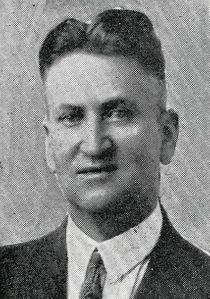 1955 Motion adopted to start a Christian Day School. 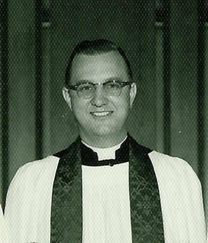 1956 St. Paul's helped start St. Mark's Lutheran Church. 1958 Kindergarten started in church basement. 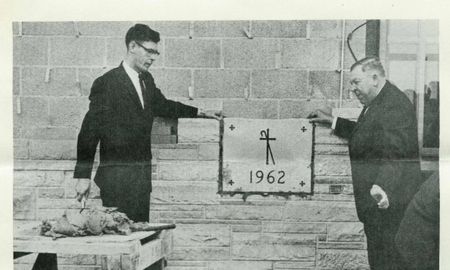 1962 Good Shepherd Lutheran School dedicated. 1969 Good Shepherd Lutheran School building sold. 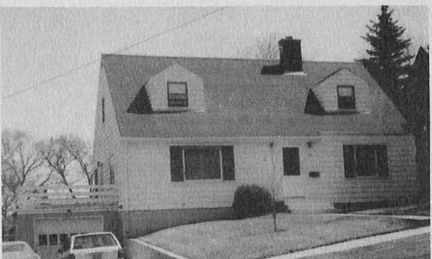 1978 Parsonage sold to Pastor and Judy Jenks. 1979 Roof repairs are done as well as other repairs. 1980 N. D. District purchased 5 acres of land in south Minot. 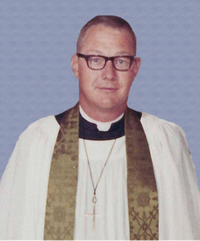 1982 David Konrad Suelzle ordained into the Holy Office of Public Ministry, Rev. 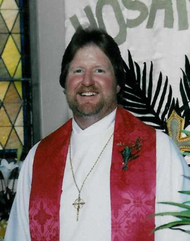 Robert J. Ravell installed to Pastoral Office at St. Paul's in a "Shared Worker Program." 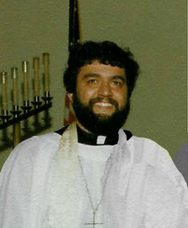 1983 St. Paul's and St. Mark's hold worship services at Edison School for purpose of starting a third church. 1984 Our Savior Lutheran Church filed Articles of Incorporation. 1988 Lot with house south of the church purchased. Sept 18th was celebration of 25 years in ministry for Pastor Jenks. 1989 Voters accept bids for construction of an attached fellowship hall to the south, along with other renovations. 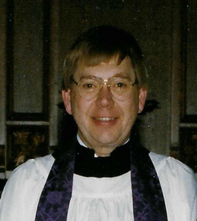 1990 St. Paul's celebrated 85th Anniversary and dedication of new Fellowship Hall and other renovations. 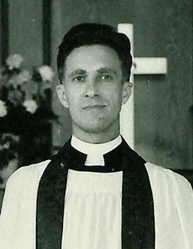 1998 Pastor K. C. Jenks accepts call to Canoga Park, California. 2004 Renovation of last portion of basement, lot south of parking lot purchased, house moved and lot completed. 2005 June 11 and 12, St. Paul's Church celebrates 100 years with the theme "Anchored in Christ." 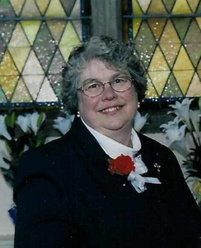 2010 Lynch property accepted under conservatorship. 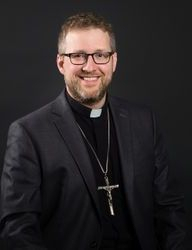 2018 Pastor Arie Bertsch elected LCMS ND District President. 2018 Church and Fellowship Hall roofs replaced with metal roofing.